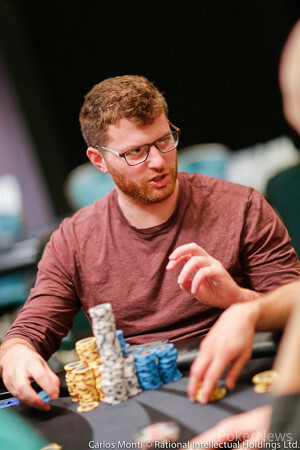 The 2017 PokerStars Championship Bahamas $25,750 High Roller began two days ago with 159 entrants, and today Luc Greenwood finished as the last man standing to capture a $779,268 prize. In heads-up play, Greenwood defeated Nick Petrangelo, who secured $740,032 thanks to the duo striking a deal. 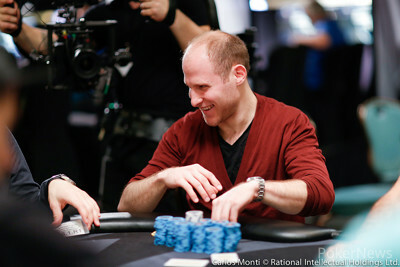 The win is more than ten times Greenwood’s previous best cash of $75,000 that came when he finished 21st in the 2010 PCA. Greenwood, who also finished 66th in the Main Event earlier this week, joins his brothers, Sam and Max, as poker millionaires with more than $1.2 million in lifetime earnings. Day 3 of the $25,750 High Roller saw nine players return to action. Bryn Kenney was the first to go after his king-queen failed to get there against Petrangelo’s ace-jack. The cash was the latest in a great week for Kenney. It started when he placed seventh in the $100,000 Super High Roller for $275,060, and three days later won the $50,000 High Roller for $969,075. The next day he took fourth in the $2,000 Hyper Turbo Win the Button for $6,020, and a day after that won the $25,000 Shot Clock High Roller for $392,876. Petrangelo then picked up pocket kings to send Mark Radoja, who held ace-queen, to the rail in eighth place, and he was followed out the door by Stephen Chidwick, whose Big Slick failed to get there against the pocket queens of Michael Rocco. Argentina’s Jose “Nacho” Barbero bowed out in sixth place at the hands of Petrangelo, who turned right around and eliminated Team PokerStars Pro Daniel Negreanu. It happened when “Kid Poker” got his stack in holding ace-jack and ran it smack dab into the ace-queen of Petrangelo. A deal was briefly discussed among the final four players, but play continued when they couldn’t come to terms. It was at that point Byron Kaverman got his stack in holding pocket nines against Greenwood’s eights. Kaverman held on both the flop and turn, but Greenwood hit his pure two outer on the river. 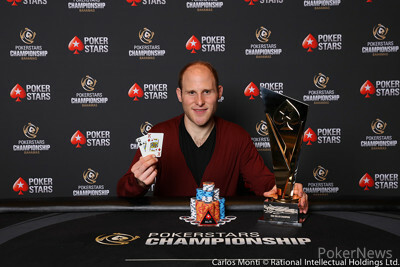 To remind you of Kaverman’s results this trip, he finished fifth in the $100,000 Super High Roller event for $445,320, before hopping into the $5,300 Main Event during late registration. There he lasted until Day 4, finishing 28th for $19,000, before running to third in the $50,000 Single Re-Entry event for $452,220. He's just wrapped up his week by pushing his winnings up to over $1.2 million. "I had a poor 2016, but this more than makes up for it,” he told PokerNews after his elimination. “I'm just glad that I managed to hold it together throughout. I'm not really sure how." 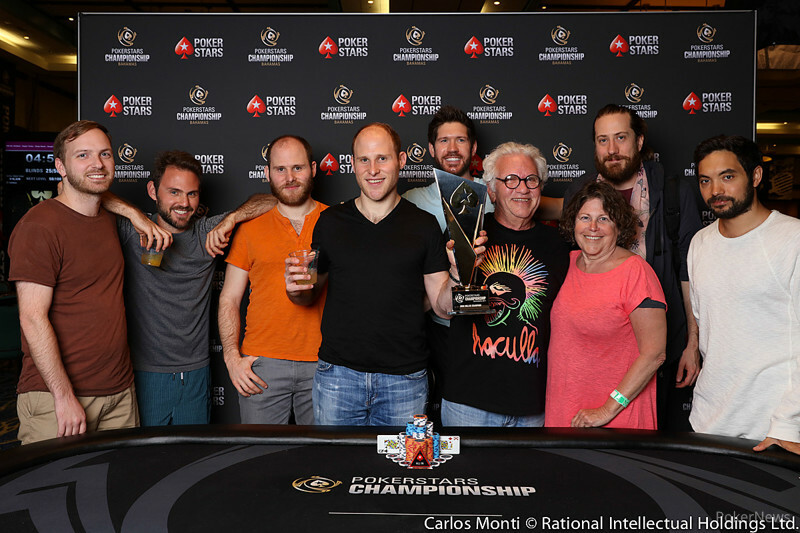 Meanwhile, Rocco exited in third place – he got it in with top pair and a flush draw against Petrangelo’s ten-high flush – and that sent the final two players into heads-up play nearly even in chips. They decided to do an ICM deal while leaving $30,000 and the trophy to play for. They also agreed to up the blinds and shorten the levels, though it only took a few hands for things to come to a head. It happened when a king on the turn paired the board and Petrangelo shoved holding pocket jacks. Greenwood held a king, the river was a blank, and that was all she wrote. Petrangelo headed for the payout desk while Greenwood headed over to the rail to celebrate with his parents, who had been sweating him the entire final table. Congratulations to Luc Greenwood, the 2017 PokerStars Championship Bahamas $25,750 High Roller champion. 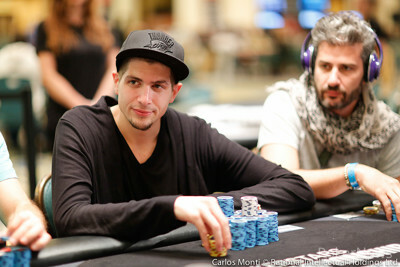 By Carlos Monti of PokerStars. It only took a few hands of heads-up play to crown a winner. In what would be the final hand of the tournament, Luc Greenwood raised to 200,000 on the button and Nick Petrangelo three-bet to 700,000 from the big blind. Greenwood made the call and then called a bet of 420,000 on the flop. When the paired the board on the turn, Petrangelo moved all in for approximately 2.4 million and Greenwood snap-called. "Nice turn," Petrangelo said. "I don't think I shove a different turn." Petrangelo was in desperate need of a jack, but it wasn't meant to be as the appeared on the river instead. Thanks to the heads-up deal, Petrangelo will take home $740,032 for his performance. The remaining two players have agreed to an ICM deal, and decided to progress matters directly by moving forward the level and blinds too. Here are all the details you need to know. There is $30,000 still to play for, and of course the magnificent $25,750 PokerStars Championship Bahamas High Roller trophy. The blind levels were at 20,000/40,000, but the players have decided to advance straight to the 40,000/80,000 level and cut the length of each blind level in half to 30 minutes. Let's get the battle on! The final two players have agreed to a short break. Cards should be back in the air shortly. Michael Rocco raised to 90,000 from the button and Nick Petrangelo defended his big blind. The flop saw Petrangelo check-call a bet of 75,000, and then he checked the turn. Rocco bet 200,000, Petrangelo check-raised all in, and Rocco thought for a bit before calling off for right around 1 million total. Petrangelo had turned the flush, which meant Rocco needed another non-ace or six heart to stay alive. The river wasn't what he was looking for, and Rocco became the third-place finisher. Michael Rocco has lost a few successive pots to see his stack roughly halved in the last two orbits. First, Luc Greenwood min-bet pre-flop and got a call from Rocco. The flop of saw Greenwood bet 75,000 and Rocco called. The turn saw Rocco take the getting lead, betting 100,000, but Greenwood raised to 325,000. Rocco called. The river saw Greenwood make it 200,000 and got a fold to take a very valuable pot. In the second successive pot, Greenwood and Rocco tangled again. Rocco made it 105,000 from the small blind pre-flop and Greenwood called in the big blind. The flop of saw Rocco bet 150,000 and get a call, but on the turn of , Greenwood bet 200,000 and that took it down. Rocco is down to just 20 big blinds.